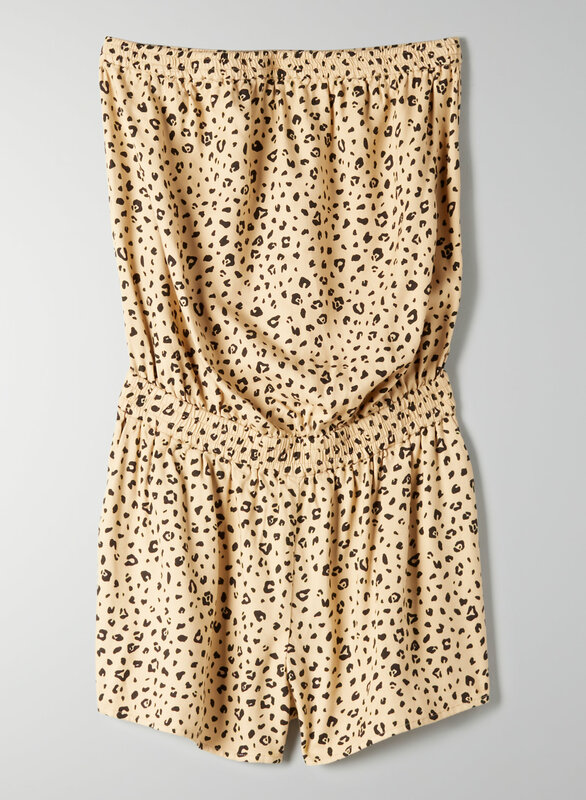 This is a tube-top romper with an elastic waist. It's made with a lightweight twill that drapes just right. This version of the Cropsey comes in a simple leopard print.